EXTON, Pa., June 29, 2016 – Decorative and functional architectural stone and tile must be able to repel liquids and oil to maintain their appearance and value. AsahiGuard™ for Stone and Tile from AGC Chemicals provides the most effective deterrent to liquidand oil-based stains that can ruin the aesthetics of both porous and non-porous stone and tile. AsahiGuard for Stone and Tile is effective for polished stones (such as marble and granite), porous stones (limestone) and very porous materials (concrete, terra cotta, brick and paving stones). It is ideal for applications such as countertops, shower stalls, flooring, patios, walkways, walls, hearths, backsplashes, fireplaces and pool aprons. AsahiGuard for Stone and Tile is a line of high-performance fluorinated sealants that require just one application added in the factory or field either by brush or roller. It cures quickly at air temperature and is odor-free. 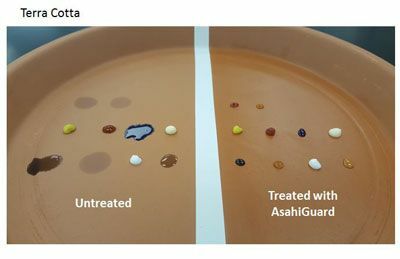 AsahiGuard significantly minimizes staining of porous and polished stone by a wide range of common fluids, including red wine, coffee, mustard, ketchup, blue ink, mayonnaise, soda, suntan lotion, motor oil and olive oil. “AsahiGuard makes architectural stone and tile resistant to most common spill-related stains. Surfaces treated with AsahiGuard are more durable and easy to clean, adding years of extended life and value to stone products,” said Mario Vincenzini, Technical Service Engineer at AGC Chemicals Americas. AsahiGuard uses fluoropolymers dispersed in water to repel liquids by forming a low-energy surface coating on treated stone. Liquid beads when spilled on stone or tile treated with AsahiGuard sealants. This beading action minimizes the amount of surface area that the spilled fluid contacts, neutralizes penetration and enhances cleanability. AsahiGuard is offered in a range of formulations, depending on the type of stone or tile and indoor or outdoor use. Custom formulations provide additional aesthetic characteristics such as high gloss, low gloss, enhanced color or a wet look. AsahiGuard imposes no danger to humans, animals, materials or the environment. It is based on short-chain C6 chemistry. C6 fluorinated polymers are proven safe for use on stone and tile, contain no perfluorooctanoic acid (PFOA) or perfluorooctane sulfonic acid (PFOS) or their precursors, at detectable limits, and cannot break down to form PFOA or PFOS. AsahiGuard is formalin-free, non-flammable and non-corrosive. 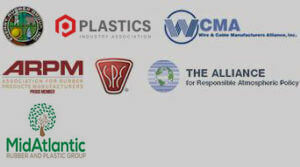 AsahiGuard meets the most stringent regulatory requirements internationally, including the U.S. Toxic Substance Control Act, Japan’s Chemical Substances Control Law, and all applicable European Union standards.